This is a well designed, versatile bird carrier system. 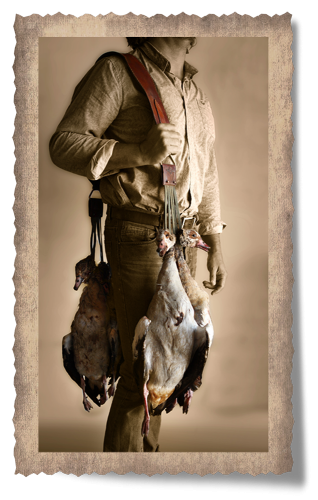 Use two Bird Carriers attached to the Goose Carry Strap to comfortably carry gees, ducks or even small plains game over your shoulder. 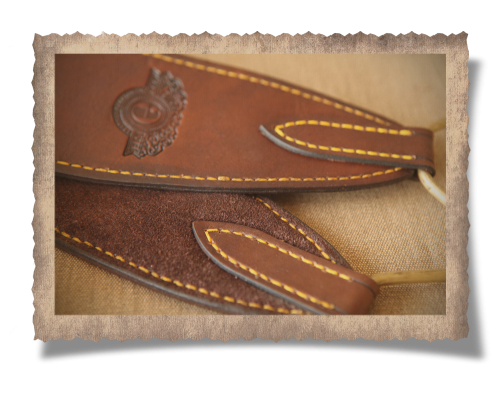 The strap is padded and suede lined making for a comfortable carry, also adding strength that will make your strap last several generations. 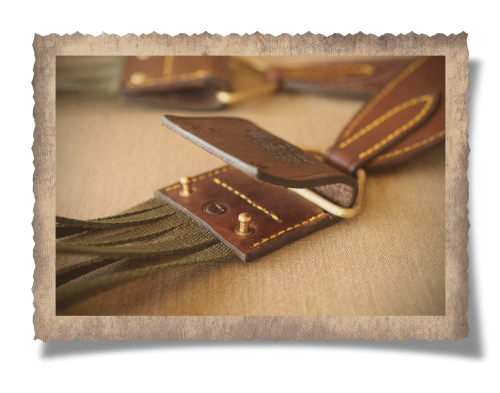 The entire strap is hand stitched, using thick wax coated cotton thread, giving a unique and aesthetically pleasing look and tactility to all our products. The same Barberton Bird Carrier that you clip around your belt to carry Francolin and Guinea Fowl with can be secured onto the brass d-rings on each side of the Goose Carrier strap, giving you the capacity to carry several geese, duck or even small plains game over your shoulder. Each strap is specificaly shaped for your left or right shoulder for added comfort and also to prevent it from slipping off your shoulder when carrying a heavy load. 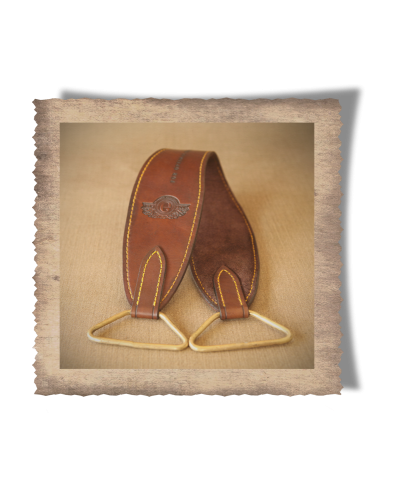 The s-shape fits snugly between your collarbone and shoulder bone assisting in making the strap slip resistant. This is a great example of the unique look and tactility we accomplish with our hand stitching as the entire circumference of the strap is stitched. 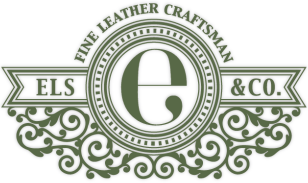 We only use high quality genuine leather and solid brass in the production of all our products. 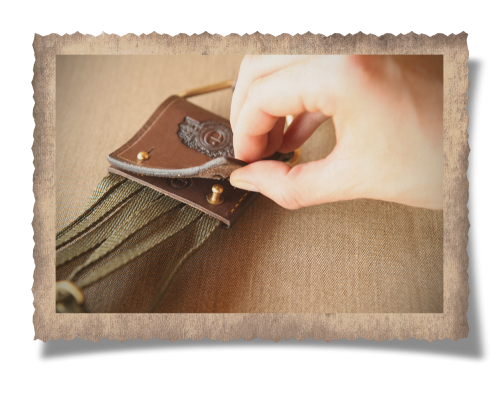 Here the brass studs clip through the leather to secure your Bird Carrier to the Goose Carry Strap.